January 31st is the 100th birthday of Thomas Merton. In honor of his centenary, the following is an excerpt from my Master’s Thesis: Justification By Imagination: The Marian Art Of Thomas Merton. The thesis was approved by Drs. Frank Burch Brown, Marti Steussy, and Lorna Shoemaker. It is, perhaps, apt that Thomas Merton’s Marian art is primarily concealed—much as the Marian figure is in the gospels. The bulk of Merton’s Marian drawings reside at the Thomas Merton Center at Bellarmine University in Louisville, Kentucky. Little of that art has been published. To approach it, one must first open Merton: “One hears from others that this is a Sacred Book, takes their word for it, and resolves not to get involved.” Thomas Merton’s own words on the act of opening the Bible can be applied similarly to opening Merton. 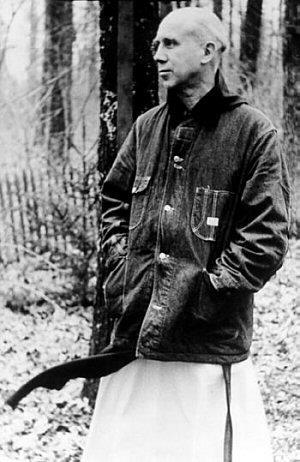 Over one hundred books and several documentary films have been produced about Thomas Merton since his death in 1968, indicating the extent of his art and influence. The magnitude and immensity of Merton is such that no single interpretation will have the final word on the famed Trappist, whose status as the preeminent Christian monk of the twentieth century, is readily acknowledged, even by his critics. Investing in Merton’s prodigious output can inspire identification with his own reaction to the monumental Picasso exhibit of 1939: “Room after room of his paintings, and each room better and more exciting than the last. It was a terrific and tiring and bewildering experience.” Like Picasso’s, Merton’s posthumous reputation has taken on a legendary sheen, so much so that finding a fresh approach to him is an elusive endeavor. Among Thomas Merton’s literary gifts was his ability to craft elements of his biography into literary metaphors that incite his readers not only to identify with his autobiographical art but also to undergo inner experiences of being transformed by reading him. Reading Merton threatens incidences of being changed, of wanting to lead a different, deeper kind of life. His art of confession and witness does not merely disclose itself for the reader’s review, but imposes itself powerfully upon the reader as a form of teaching by personal example that both seduces and constrains the reader to go and do likewise. As we shall see in excerpts from his journals, Merton’s religious vocabulary is steeped in artistic imagination, so much so that an unprepared novice, expecting to find in Merton merely a guide to better living, may discover Merton to be a source of genuine surprise and initial consternation. What he has written, though sparse, tells us quite a lot about his view of Mary and also about her importance in the silence and solitude of his own spiritual development. Some of Merton’s most telling passages about Our Lady can rather easily lead readers to the conclusion that she was not only a major influence for him, but conceivably his primary influence. Working from the universal and autobiographical nature of Merton’s work, the specific focus of this thesis is on the Marian art of Merton, which has not received the attention of significant scholarship to date. 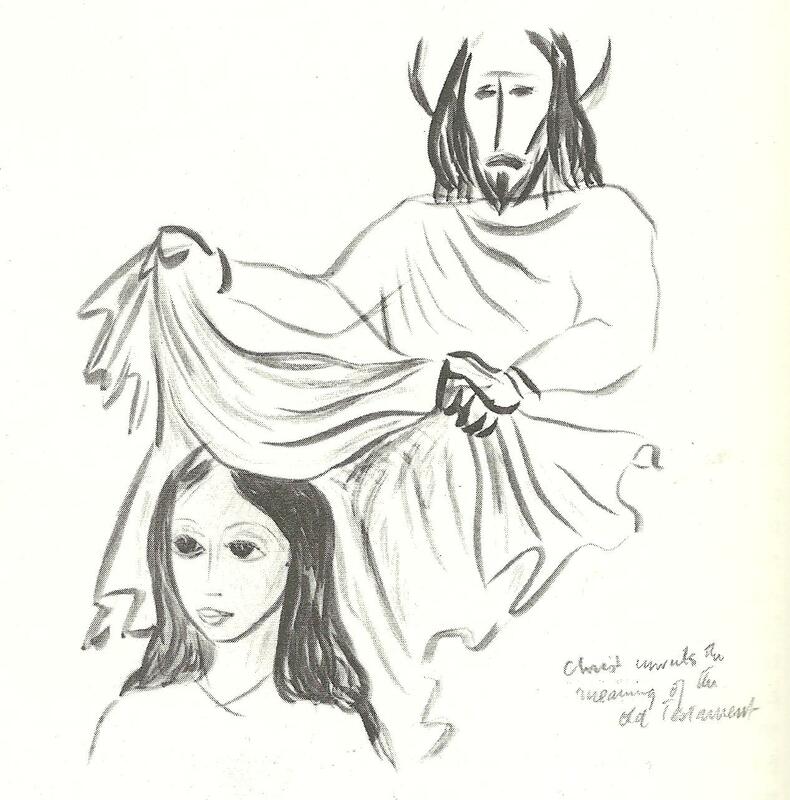 Among the nine hundred plus existing drawings of Thomas Merton are approximately two hundred Marian-like images, a subject he drew with more frequency than he did any other representational image (his later abstractions and Zen calligraphy outnumber his earlier iconographic works). While Merton rarely dated or titled his visual art, the feminine image, although unnamed, is what we can safely refer to as Marian in expression. Sophia, Eve, Proverb, Wisdom and Our Lady are personas of the divine manifest in the feminine, which fired his theological imagination and devotion. The image of Mary the mother of Jesus distinguishes the Catholic religious sensibility from all others. She pushes the envelope of the Catholic imagination as far as it can be pushed by hinting that there is a maternal dimension in God as well as a paternal one and thus absorbs and purifies and transforms all the female deities who came before (Nut, Astarte, Venus, Brigid). Since the Reformation, Marian devotion, devotion to the divine manifestation in the maternal image has become scarcer in much of Christian worship practice. The feminine outcast label latently hovers over Marian theology and imagery: “Mary is the only feminine religious symbol who reveals a God passionately in love with his people. The structure and the function of the Mary myth are designed to reveal the femininity of God. The theologians may have missed the point or have been afraid to touch it; but the poets and painters have not.” That may explain the appeal of the Marian symbol to artists as diverse as Oscar Wilde, Salvador Dali, and Thomas Merton. It seems to me that the feminine archetypes of the church, cloister and enclosed garden, with Mary as both garden and idealized woman, along with all the conflicts and resultant tensions of his life as a monk and writer in the Abbey, provided Merton with the right climate in which to develop a mature identity, and to recover and integrate the feminine. 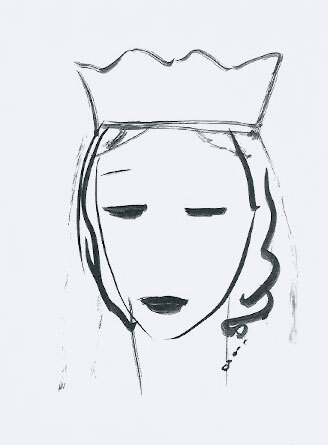 Merton writes in the dedication to Gethsemani Magnificat: The Most Blessed Virgin is the Queen of the Cistercian order, as she is also Queen and model of the Contemplative life. Merton’s Mariology is inexorably wedded to his artistic expression. To fully glean the artistic and theological complexities of his Marian drawings, a literary accompaniment and well-rounded perspective of Merton’s artistic temperament is beneficial. Thomas Merton, Opening the Bible (Collegeville: Liturgical Press, 1970), 14. Thomas Merton, Run to the Mountain: The Journals of Thomas Merton, ed. Patrick Hart, O.S.C.O. (San Francisco: Harper Collins, 1995), 87. Thomas Merton, New Seeds of Contemplation (New York: New Directions, 1961), 142. Fred Herron, No Abiding Place (Lanham, MD: University Press, 2005), 14. Rowan William, A Silent Action. Engagements with Thomas Merton (Louisville, KY: Fons Vitae, 2011),19. Jonathan Montaldo, “A Gallery of Women’s Faces and Dreams of Women from the Drawings and Journals of Thomas Merton,” in Merton Annual 14, ed. Victor A. Kramer (Louisville, KY: International Thomas Merton Society, Bellermine University, 2001), 155. Christine Bochen, Soul Searching: The Journey of Thomas Merton, ed. Morgan C. Atkinson (Collegeville, PA: Liturgical Press, 2008), 28, 39. Andrew Greeley, The Catholic Imagination (Berkeley, CA: University of California Press, 2000), 92. Greeley, The Catholic Imagination, 5. 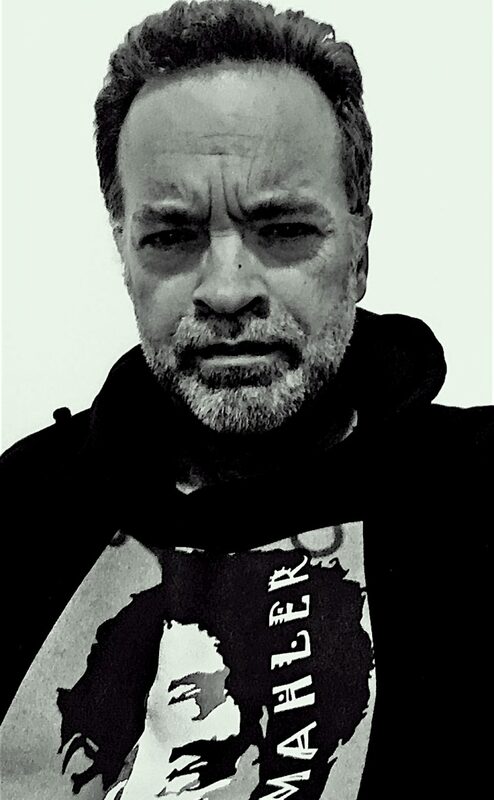 Kenneth Voiles. 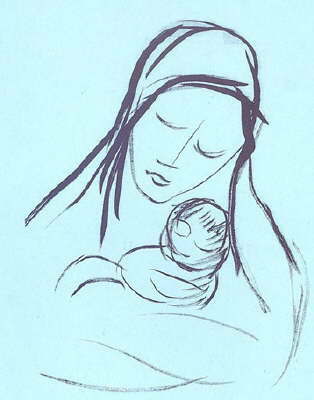 “The Importance of Mary In the Spirituality of Thomas Merton. (paper presented at the Summer Seminar on Carmelite Spirituality, Notre Dame, IN, June 1991), 218. Greeley, The Catholic Imagination, 91. Greeley, The Catholic Imagination, 94. Andrew Greeley, The Mary Myth (New York: Seabury Press, 1977), 80. Greeley, The Mary Myth, 41, 20. Thomas Merton, Learning to Love: The Journals of Thomas Merton. ed. Christine M. Bochen.1966-1967. (San Francisco: Harper Collins, 1997), 131. Merton, Learning to Love, 16, 17. Merton, Run to the Mountain, 333. Sheila Hempstead-Milton, “Merton’s Search for Paradise and His Integration of Ruth Merton, Sophia and Mary,” The Merton Seasonal Spring (1996): 12-13. This entry was posted in Buddhism, Catholicism, Masters Thesis, Religion, Spirituality, Theology, Thomas Merton Centenary and tagged Christian Theological Semnary, Cistercian Spirituality, Frank Burch Brown, Lorna Shoemaker, Marti Steussy, religion, spirituality, Thomas Merton, Thomas Merton Centenary, Trappist monk by Alfred Eaker. Bookmark the permalink.